Just five years ago, the market for women’s cycling apparel was hardly a given. 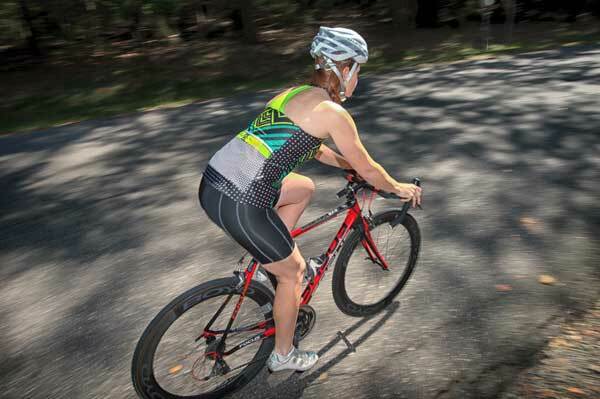 When she launched FloraVelo in 2012, founder Pam Long says, “we had to convince people that it can look like this and still function like cyclewear.” When training to join her sister on the week-long Cycle Oregon tour, Long found that available clothing for women cyclists was, for the most part, smaller versions of men’s jerseys. Long had often joked that she was “an entrepreneur without an idea.” Now she had an idea, and what looked like an underserved market. Innovation and adaptability are both reflected in the Tush Cush, a product from newcomer Pixi Cycling. Invisible when worn, the Tush Cush works with any Pixi skirt, pant, or short, and can be quickly removed without having to take off the outer garment.“One core principle in starting Pixi was to think about a way to encourage more women in the sport,” says founder & CEO Emily Welsch. “One of the low-hanging fruits was to make apparel that is not cycling-exclusive. It’s not like you are going to wear padded shorts on a quick trip to the grocery.” The Tush Cush simplifies the post-bike-commute change?or any post-ride wardrobe change?to a minor production. Welsch credits a failed Kickstarter campaign for providing critical focus group intel. “I’m really thankful that the Kickstarter didn’t go as planned,” Welsch says.